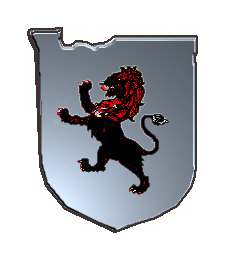 Coat of Arms: Silver with a black lion rampant with red tongue and claws. Spelling variations include: Owen, Owens, MacOwen, Owenson, Owenby, Ownby and others. First found in Montgomery where they were seated from very ancient times, some say well before the Norman Conquest and the arrival of Duke William at Hastings in 1066 A.D. Some of the first settlers of this name or some of its variants were: Anne Owen with husband and servants settled in the Barbados in 1680; Edward Owen settled in Virginia in 1636; Griffith Owen settled in Pennsylvania with his wife Sarah and three children in 1686. "Origin of the Owen Surname"
The Owen name is of Welch origin. The word means "well born" or "well descended". 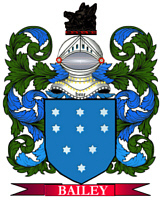 It was a personal name in Wales and was not used as a family name or surname until the sixteenth century. The name was originally Owain, Owin, Owens, and lastly, Owen. It has always been popular as a forename, being the name of princes and leaders, noteably Owain Gwynedd (c.1100-1170) and Owain Glyndwr (c.1354-1416). The first of the family to adopt Owen as a surname was Roland Owen, sheriff of Montgomeryshire, Wales in the year 1610. The Owen Glendowers, or Glendower Owens, were persecuted by their enemies, and driven from their estates to the mountain wilds, where they became shepherds; their ancestral home was in Marionethshire, Wales, one of the extreme western counties, the coast of which is washed by Cardigan Bay. It lies not far from the port of Liverpool, and its principle town is Barmouth. 1622 - Thomas Owen, a Welshman, came from London to Virginia on the "Susan", first lived at Jamestown, VA, but by 1664 was living at the Forks of the Cattail Run on the north side of the James River. 1650 - William Owen worked his passage to Virginia while just a boy. 1651 - William Owen married Elizabeth Davies in Braintree, MA. 1658 - Bartholomew Owen in court records of Surry Co., VA.
1682 - A large colony of Welsh Quakers, including Owenes, purchased 5000 acres in Pennsylvania from William Penn. 1699 - Rev. Robert Owen, from Wales, became Rector of St. Paul's Parish in Prince George Co., MD. ca1700 - 3 brothers from Wales, John, Thomas and William Owen settled in Henrico Co., VA.